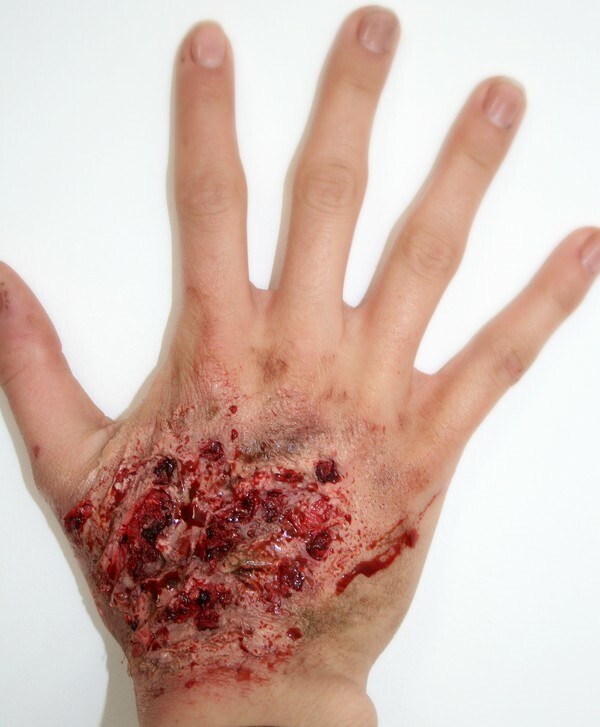 * Start off with a clean hand. * Separate a tissue so it's really thin. 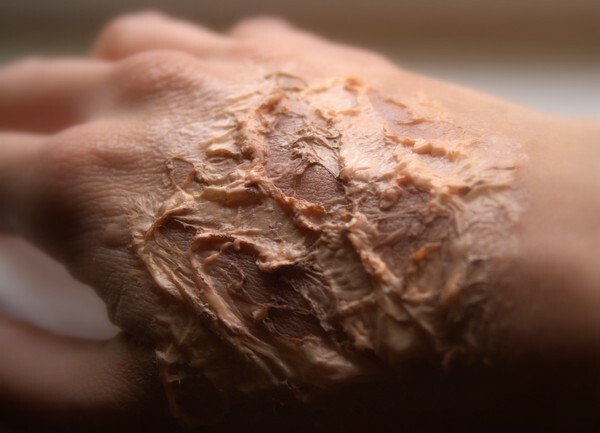 * Smear out the liquid latex where you want the wound to be, then put the tissue over it, let dry a bit. 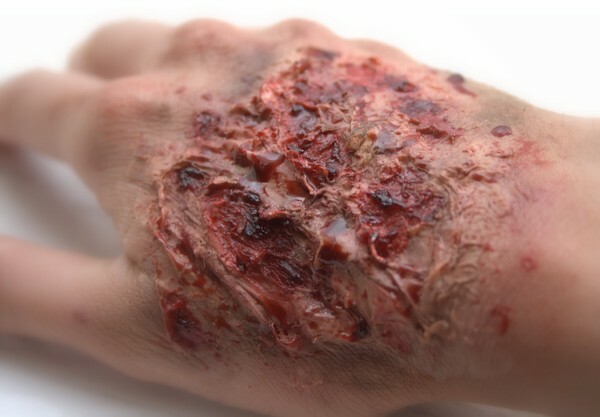 * Start to create a texture by pulling up small pieces of the paper from your hand (or wherever you've choosen to put the wound). * Put some more latex on and continue with theese two steps until you're satisfied with the shape. 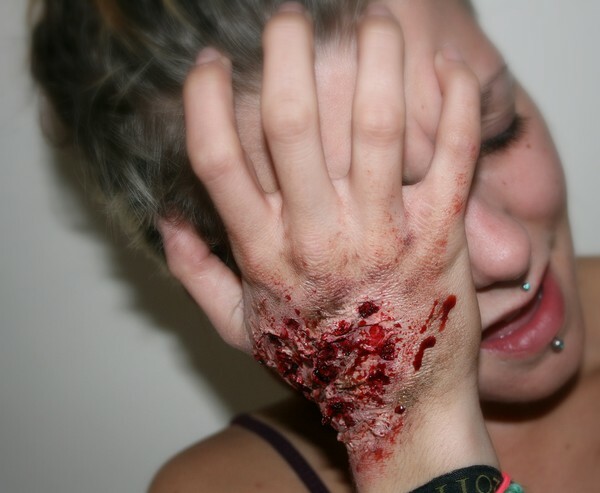 * Cover up the entire "wound to be" with a foundation close to your skin colour. * Fill in the empty wholes with a dark red and a dark brown eyeshadow. 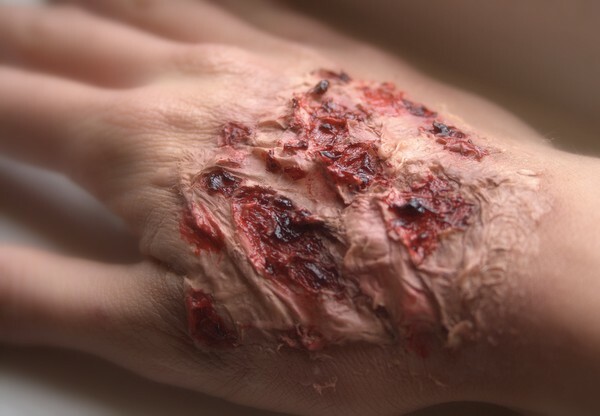 You can also dust some eyeshadow where you pulled up the tissue to create more "dept" to the wound. 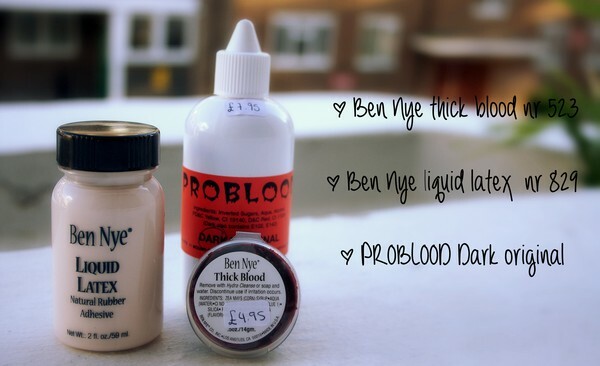 * Take your thick blood and start fill in all the wholes with a small lip brush. Make the layer thicker at some parts to make it look more greasy and dried out.